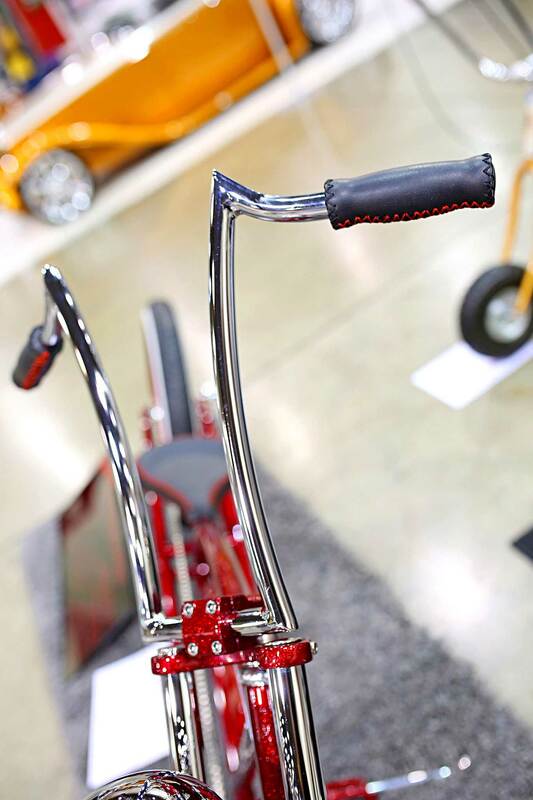 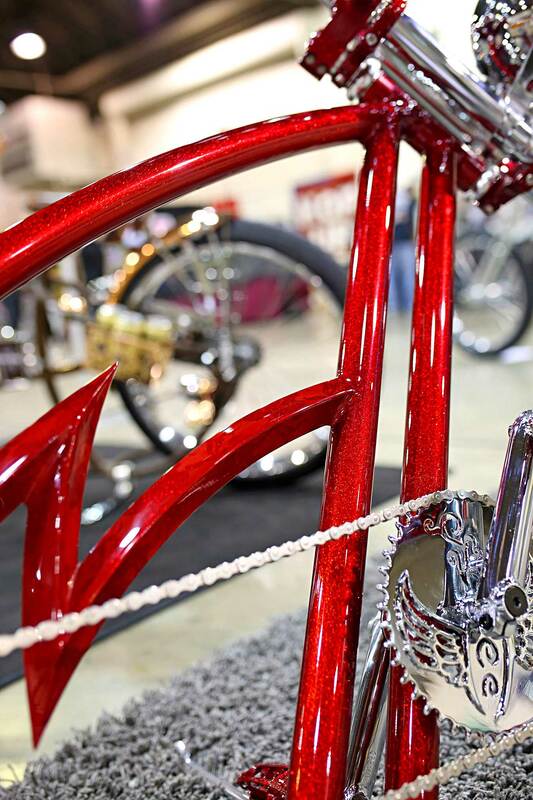 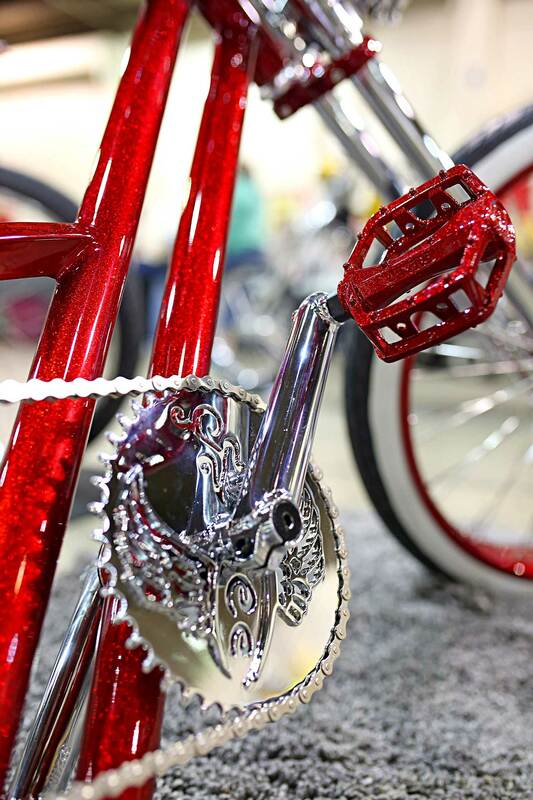 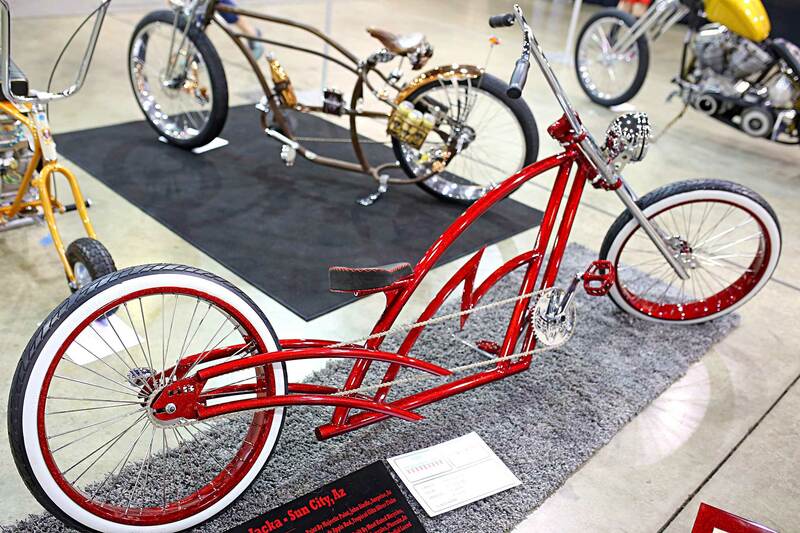 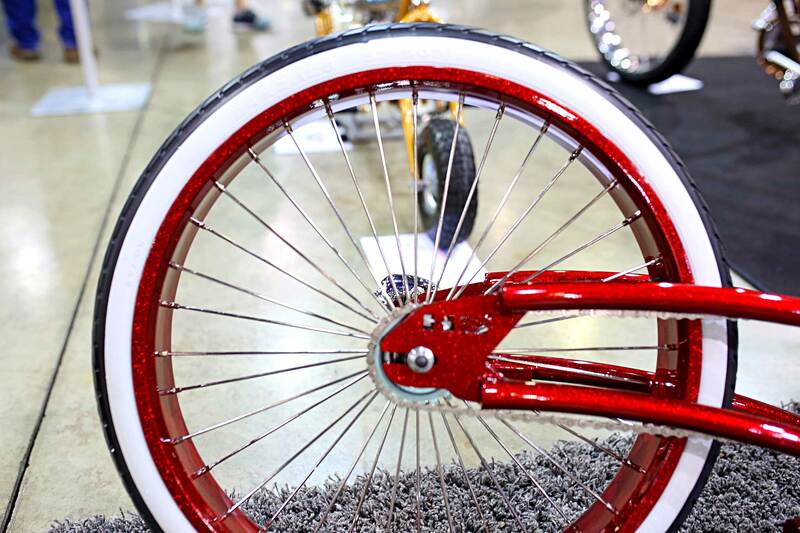 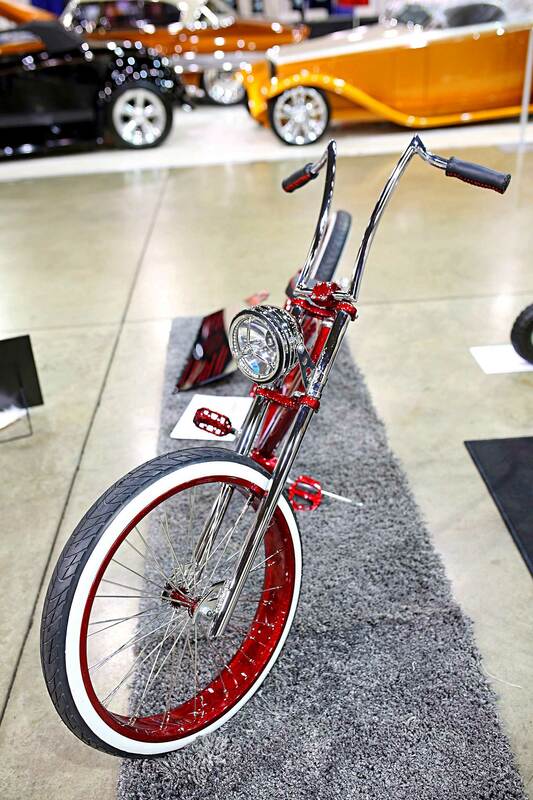 This stretched-out, one-off beach cruiser-style frame was built by HB Cruisers for Shannon Jacka of Sun City, Arizona. 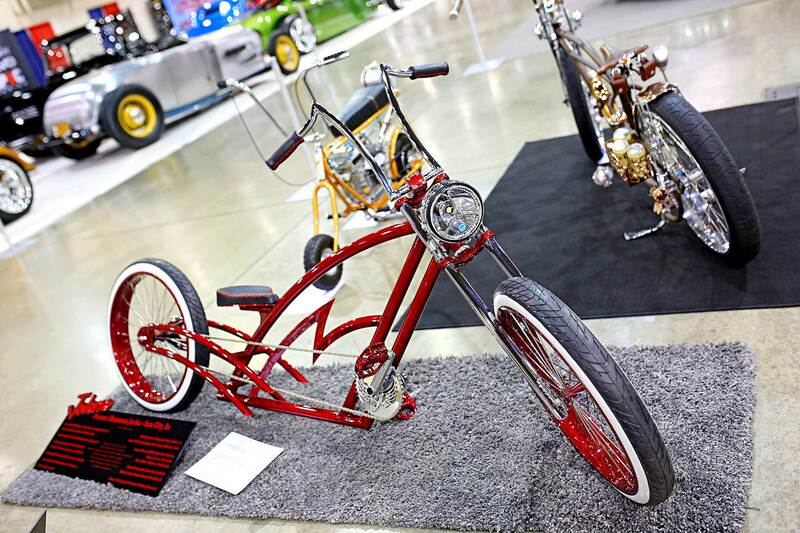 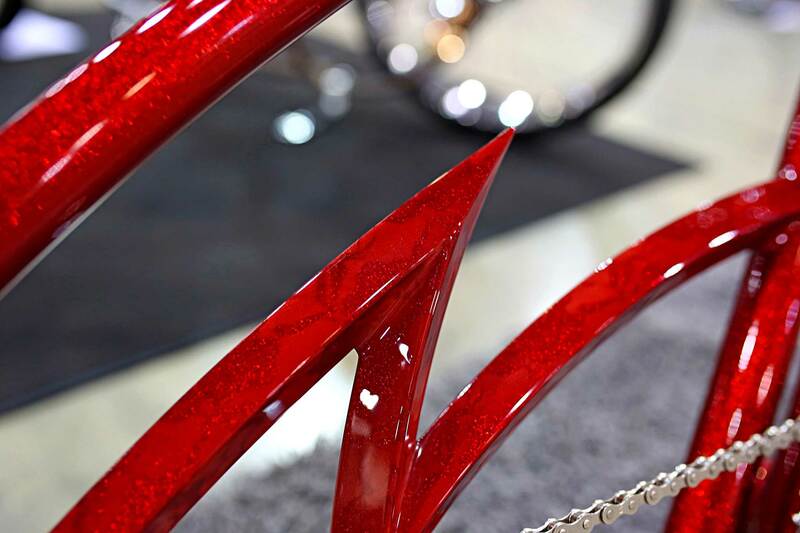 It was then painted with House of Kolor Candyapple red and has custom handlebars, sprocket, fork, and stand. 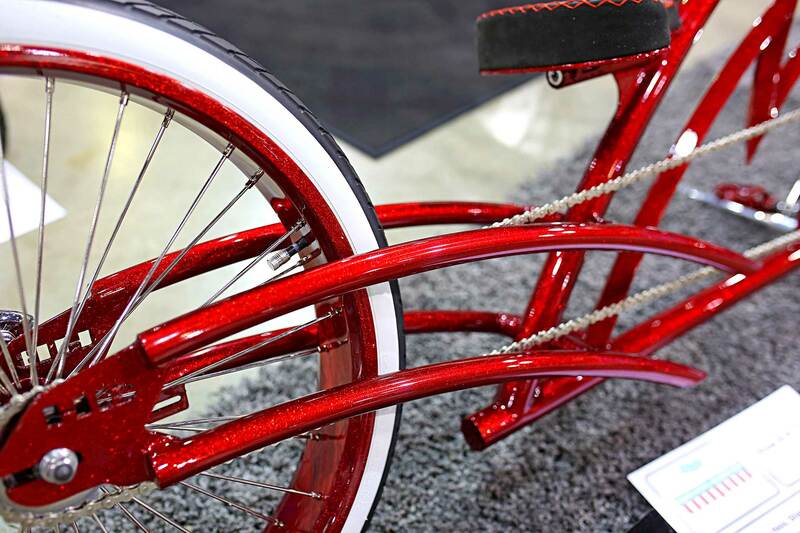 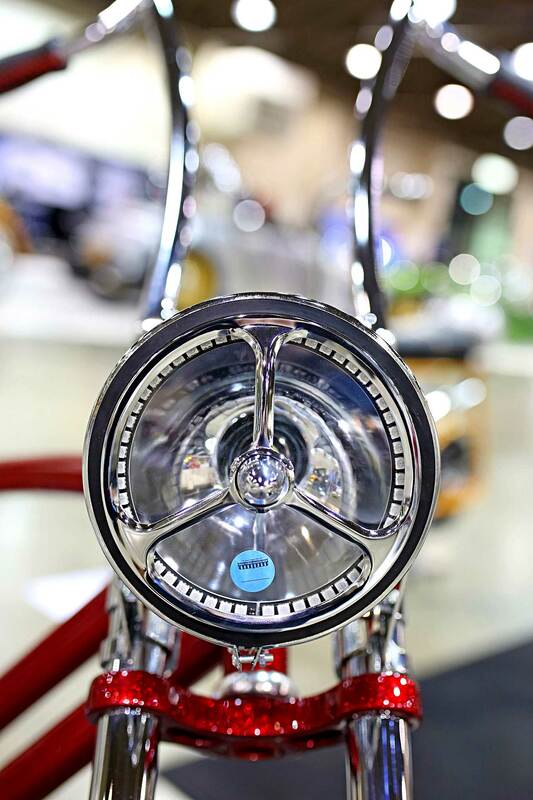 It has a set of 36-spoke wheels with a black suede and leather seat.